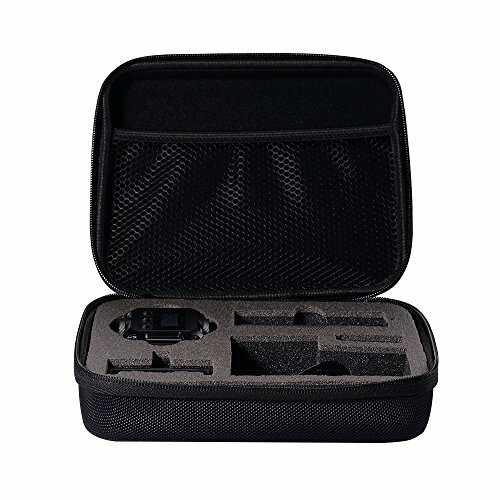 Shockproof Protective Carrying Case Storage Travel bag for Garmin Virb 360 Rugged Waterproof 360-degree Camera by HOLACA by HOLACA at iShare Maps. MPN: AMZ0196. Hurry! Limited time offer. Offer valid only while supplies last. Case Only! (device and accessories are not included). Fit for: Garmin Virb 360 - Rugged, Waterproof 360-degree Camera. Keep your Garmin Virb 360 camera & accessories in one place. Case is shockproof dustproof water resistance. Portable External Case is made of premium EVA to provide durability and a long-lasting performance. The case have a Strap that allows for easy and convenient portability on the go. Strong zipper convenience for easy in Opening and Closing. Size: 8.66*6.3*2.75inches. Weight: 0.66lb. (300g). 12 months for free replacement or full refund. If you have any questions about this product by HOLACA, contact us by completing and submitting the form below. If you are looking for a specif part number, please include it with your message.